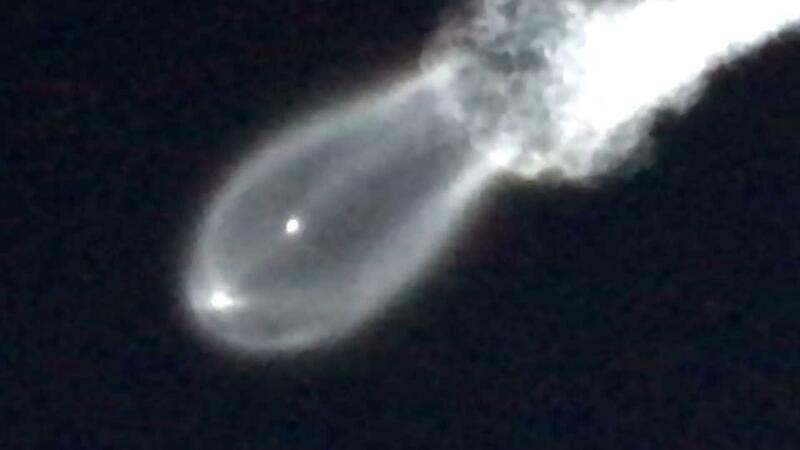 SpaceX rocket launches are easily visible from Pismo Beach bluffs, benches, boardwalks, beaches, balconies, and of course the pier. Locals tune in to the live launch broadcast and gather at view points around town. Sometimes we walk toward the beach and stand in the street watching the southern horizon for that first glimmer of light as the rocket blasts off at Point Sal. The deep rumble that follows a minute or two later can be felt all along the coast. Then we all go back to what we were doing, and hope someone got good pictures and videos for Facebook. The most recent launch, having been delayed six times already, blasted off on schedule today, Tuesday, May 22, 2018, at a approximately 12:48pm PST. Always worth the wait!, launches from Vandenberg Air Force Base do not disappoint! A SpaceX Falcon 9 rocket launched five satellites for the Iridium next mobile communications fleet and two Gravity Recovery and Climate Experiment Follow-On (GRACE Follow-On) satellites for NASA and the German Research Centre for Geosciences (GFZ). The Falcon 9 rocket launched with a previously-flown first stage. Successful today, it had been delayed from March 21, April 14, April 28, May 10, May 19 and May 21. Vivian’s photographs our amazing beautiful scenic Central Coast are available for prints and mugs, etc. Take a look.